HEAVEN'S VIEW WHERE NEW MEMORIES ARE MADE!! Property 54: HEAVEN'S VIEW WHERE NEW MEMORIES ARE MADE!! A Romantic Riverside Cabin. We are pet friendly. Property 56: A Romantic Riverside Cabin. We are pet friendly. Large Comfortable Cottage with Amazing views! Property 57: Large Comfortable Cottage with Amazing views! The White Pine Loft: Perfect For Couples, New Construction! Mid-Week Specials! Property 61: The White Pine Loft: Perfect For Couples, New Construction! Mid-Week Specials! Breathtaking Views and modern amenities on the side of the mountain! Property 63: Breathtaking Views and modern amenities on the side of the mountain! Lyndhurst Log Cabin on Farm w/Pond+Stocked Stream! Property 69: Lyndhurst Log Cabin on Farm w/Pond+Stocked Stream! Historic cabin with beautiful view of the Blue Ridge Mountains. 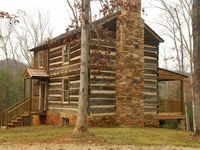 Property 74: Historic cabin with beautiful view of the Blue Ridge Mountains. Pet freindly cabin 50 yds to private river access. Close to major attractions. Property 75: Pet freindly cabin 50 yds to private river access. Close to major attractions. Modern Cabin Retreat on 10 Acres w/ Trout Stream! Property 77: Modern Cabin Retreat on 10 Acres w/ Trout Stream! RNF Virginia's hottest destination getaway!!! Robbin's Nest Farm!!! 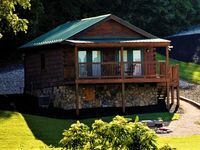 Property 79: RNF Virginia's hottest destination getaway!!! Robbin's Nest Farm!!! GWYNN'S ISLAND COTTAGE - Book Your Summer Week on the Chesapeake Bay! Property 82: GWYNN'S ISLAND COTTAGE - Book Your Summer Week on the Chesapeake Bay! Windymile Cabin for Rent Near Lexington Va. Lexington Va Cabin Rental. Property 83: Windymile Cabin for Rent Near Lexington Va. Lexington Va Cabin Rental. Property 87: Quiet Secluded 'Hilltop Log Cabin' Get Away Vacation Cabin Rental with king bed! Affordable Cottage in a Quiet Cove on Beautiful Smith Mountain Lake. Property 91: Affordable Cottage in a Quiet Cove on Beautiful Smith Mountain Lake. Beachfront Cottage on James River. Private beach. Near Williamsburg & Jamestown. Property 93: Beachfront Cottage on James River. Private beach. Near Williamsburg & Jamestown. Perfect Winter Getaway! Wood Burning Fireplace! Hottub! Sunroom! Property 97: Perfect Winter Getaway! Wood Burning Fireplace! Hottub! Sunroom! We had such a good time in Cabin #10! The views were great, the property was quiet and private, and it was a short drive to the Luray Caverns or Shenandoah National Park. The linens weren&rsquo;t the best, so maybe bring your own. But, the cabin has everything else you could need!